Tlaib and Omar – along with Rep. Alexandria Ocasio-Cortez, D-N.Y., — have frequently made front page news since joining Congress in January for their controversial statements and policies, as well as for their vocal criticism of the Trump administration. House Democrats set out an ambitious agenda with legislation on the kitchen table priorities that helped them win the majority — protecting the Affordable Care Act, imposing new ethics rules — while engaging in aggressive oversight of the Trump administration. Their investigations extend well beyond Special Counsel Robert Mueller’s probe into Russian interference in the 2016 election as they dig into the president’s business dealings and push for Trump’s tax returns. But with the spotlight comes high-profile setbacks. 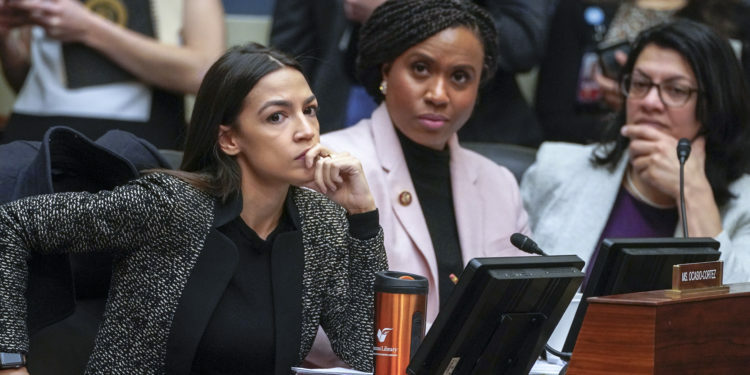 Democrats splintered over Ocasio-Cortez’s climate change proposal and exposed party divisions over Omar’s comments on Israel’s treatment of Palestinians. Tlaib stunned some when, on Day One, she told supporters — using an expletive — that the new majority would impeach Trump. “Let’s try to work together. But we have an unserious Congress that is not coming to the table. And the Republicans failed to do their job when they were in charge, no doubt. And Democrats now are failing to come together in the House,” she said.